Flash Tune’s Bench ECU Flashing Kit is designed to give every day riders the same tuning technology used on factory race bikes. 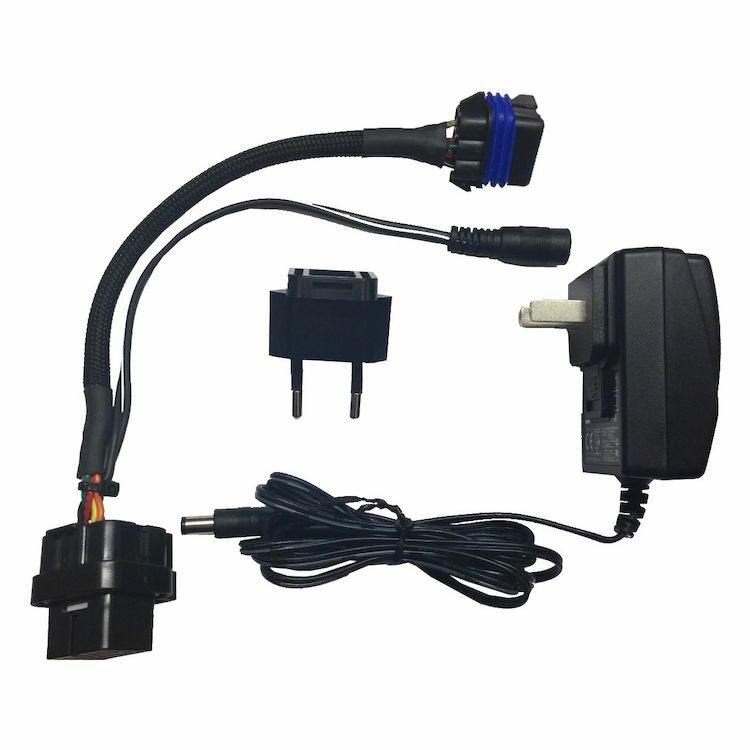 The Bench Kit comes with an auxiliary power supply and an ECU to USB adapter that allows you to make changes to your OEM ECU with a Windows PC, after it has been removed from the bike. In addition to the fuel map adjustment settings found on many tuners, the Flash Tune’s software gives you full control over your bike’s ECU. Riders can adjust their machine’s rev-limiter, top speed limiter, O2 sensor on/off, AIS valve functions, fan on/off temperatures and more. One of the stand out features of Flashtune’s software is the ability to adjust your bike’s deceleration map, which, on many bikes, cuts all fuel the instant the throttle is closed to meet strict environmental regulations. This is what causes the snatchy throttle feeling that plagues many modern street bikes. Adjusting your decel map will result in a much smoother throttle response, which improves rider confidence and helps keep the chassis settled as you ease on the throttle at lean. FlashTune ECU Tuning Software and installation guides are available at www.ftecu.com. Note: Once this kit has been registered with Flashtune, it can not be returned nor be transferred to a new user. Functions will vary by model. FlashTune Software for PC only. For closed circuit racing use only.